In dining today, the cheese course has turned into quite a prominent course, one which lends to culinary creativity for choosing the perfect cheeses, pairing them nicely with condiments and crisping up some house-made bread for toasts. Most menus these day offer cheeses, which are, I'm happy to say also usually Canadian! 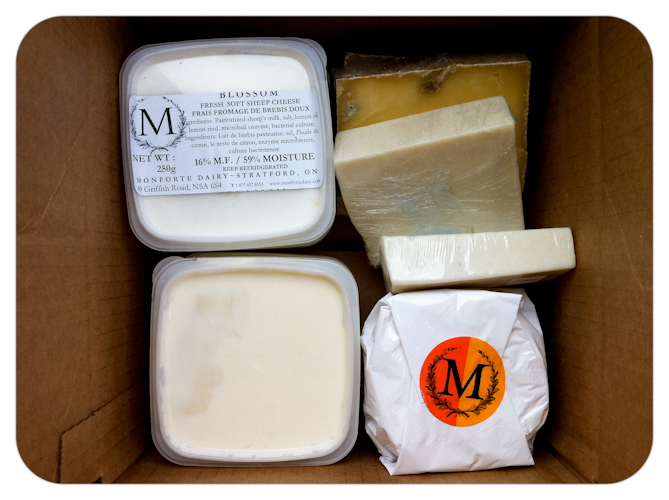 Canada produces some really quality cheese. When I worked at BUCA, I was on the SALUMI (meat) and FROMAGGI (cheese) station. 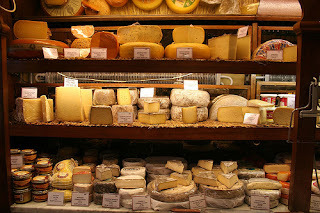 Each day we had to pick five of each, so I became quite familiar with an array of cheeses, and of course tasting them often! 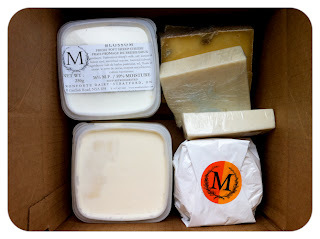 I got to know those dropping off the cheese and I learned about ordering different types and what would work best with condiments, with the meats, with salads etc. 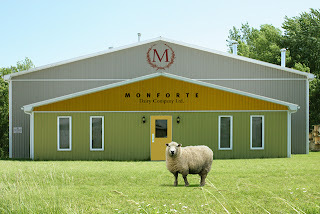 One of my favourite suppliers, which is based out of Stratford Ontario is Monforte Dairy. They are so unique and delicious, it is no wonder they are featured in the article I am about to share with you. For those of you looking to learn more about cheese, and cheese making, these 5 spots would be worth the trip! The Globe and Mail last week published an article about Canada's top five cheese destinations and I thought I would share for all you cheese enthusiasts out there. The five exerts below are from the article. 1. Monforte Dairy, Stratford ON. Monforte's innovative owner, Ruth Klahsen, raised about $400,000 to build her new cheese plant by starting a community-shared agriculture plan. Suscribers support the dear by prepaying for the cheese. Stop by to try some of the savoury complex Toscano or the butter Bliss, enriched with organic cream. "There are windows around the whole facility so you can peek in and see cheese being made at different stages right up until its wrapped. It's also the only place you can see awesome cheese graffiti, which is painted on the side of the cheese plant and silo." Its award-winning Louis D'Or and Bleu D'Elizabeth are made from the organic milk that comes from the family farm and produced in a covered old rectory that serves as the cheese factory and store. One of its most popular cheese, Le 1608, was launched in 2008 to coincide with Quebec City's 400th anniversary. Laiterie Charlevoix is located in the Laurentian Mountains, on the Charlevoix "flavour trail," a popular food route. Experience North America's oldest cheese on this island just northeast of Quebec City. Le Paillasson is made from a recipe that dates back to 1635 and is served by locals in period costume. At the fair where the infamous Dragon's Breath blue cheese and authentic Goudas are made from traditional recipes, you can explore a myriad of trails and an on-site antique shop.